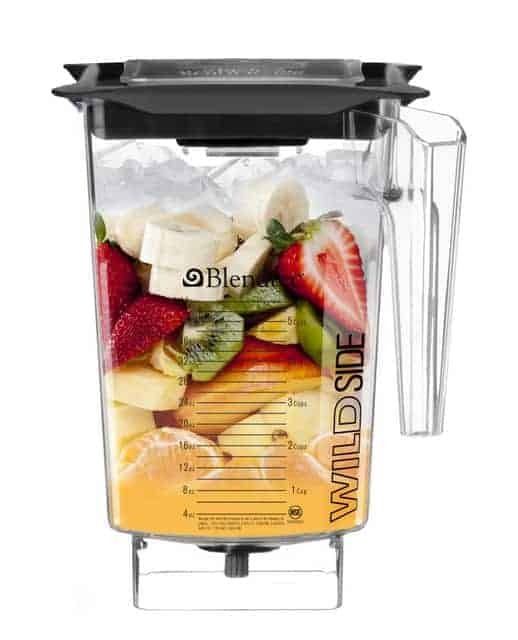 One of the things we sometimes hear from people who use a high-performance blender, like a Blendtec or Vitamix, is that they sometimes need to push things down into the blades or shake the container, so that everything is blended. While it is possible for ingredients to get stuck on the sides of the jar, or for a pocket of air to form about the blades, with a few simple tips, it is possible to avoid this problem completely. Whether it be water, juice, or milk, add the liquids first. Adding liquids first will help to create a vortex that will pull the other ingredients down, into the blades better, and it also acts as a lubricant which will help the other ingredients to move more easily. Next, place any softer fresh fruits, like oranges, berries, bananas, or kiwis into the container. They are easy to blend and will quickly add to the amount of liquid. Above that, it is best to add harder fruits, like apples or mangos, then any leafy greens, like kale or spinach. It’s important to note that larger fruits and vegetables should still be cut so that they are smaller than the bottom of the container. If an apple is too wide to fit into the bottom of the container, it will have no chance of coming into contact with the blades. The last thing that should be added to the container is ice. The weight of the ice will help to push the ingredients down and it can change the texture of the liquid, so if it is added near the bottom of the ingredients. Once all of the ingredients are added to the container, you’re ready to start blending. The important part here is to start the blender on a low speed, then slowly increase the speed to high. Starting low will give the lower ingredients a chance to be chopped up into smaller pieces. When the blades are turning at full speed, they can create an air pocket that prevents the rest of the ingredients from getting to the blades. If this happens, just select a lower speed and the pocket will collapse and the food will fall back down into the blades. That’s it! If you follow these easy tips, you’ll be blending like the pros and should have perfect smoothies.